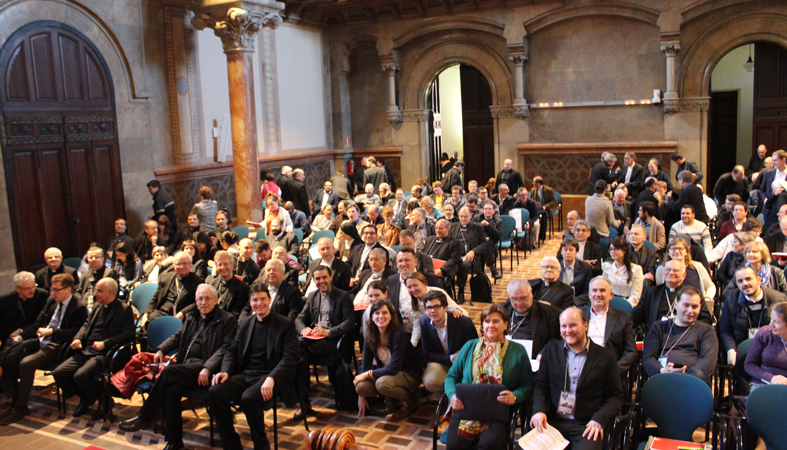 The Symposium on young people which is being held from 28-31 March in Barcelona, organised by the Council of European Episcopal Conferences (CCEE), by the Spanish Bishops’ Conference (CEE), and by the Archdiocese of Barcelona, met for its second day on 29 March 2017. The focus was on accompaniment (the morning session) and the one who accompanies (the afternoon session). The CCEE Vice-President, Cardinal Antonio Cañizares, presided at the celebration of Lauds at the start of the day at 9.00 a.m. Immediately afterwards, at 9.30 a.m., the first session began, with the title: Young people and accompaniment. The first speaker was Jona Draçini (Albania), a Muslim convert to Christianity, who said, inter alia, “I am sure that Jesus Christ has embraced every human heart, those who have lived in the past, those alive today and all the others who will live in the future”. Mate Szaplonczay (Hungary), a Greek-Catholic rite seminarian, underlined the “importance of listening. Young people want to be heard and asked for their opinions”, and so they need good examples and support “in the creation of parish groups and small communities”. There were also interventions from Carlota Cumella (Spain), a member of a parish group; and Simon Janssen (Holland), from the Emmanuel Community, who highlighted how “friendship helped me to understand that even if I was the only Catholic in my institution, I was not alone: there were many friends with whom I knew we were living the same things”. 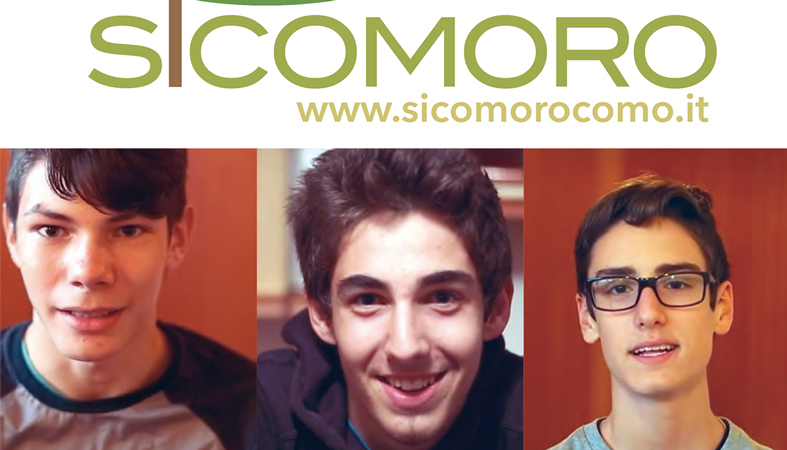 These four young people, from the perspective of the different European contexts to which they belonged, offered their reflections on accompaniment starting from their own experiences of being accompanied. Subsequently, there was a round table discusssion on personal accompaniment, an accompaniment which must continue for the whole of life. The session was chaired by Mgr Jean-Claude Hollerich, Archbishop of Luxembourg. In his introduction, he said that “this is the mission which the Church shares with Christ: to help people save themselves. As bishop, as priest and as layperson, I must work for the salvation of the people I meet and with the people God brings me to meet”. Participating in the subsequent discusssion were experts from each of the areas involved in the Symposium: Agnė Pinigienė (catechesis), Ernesto Diaco (school), Šimo Maršić (university), Paul Metzlaf (young people) and Christopher Jamison (vocations). The morning session ended with the celebration of Mass, at which we prayed in particular for vocations. For this reason, the main celebrant at the Mass was Mgr Oscar Cantoni, Bishop of Como and President of the CCEE Commission for vocations. During the celebration, vocation testimonies were given by a female religious and a seminary student. What is needed for good accompaniment? How can we be open and respectful of human freedom whilst also leading and guiding? Responding to these questions in the first part of the afternoon session was Sr Lola Arrieta, of the Carmelite Sisters of Charity and member of the Ruaj’s équipe. In her intervention, she emphasised that “young people are not looking for accompaniment, but when you go to meet them, they accept our accompaniment and are surprised by it: ‘I didn’t know you could share’… If they really find witnesses in us, sooner or later we will succeed in being in dialogue with them (…) “Emmaus is today the paradigm of the Church going to the margins”, she concluded. At the end of this session, three videos were shown which recounted respectively the experience of some parents from England, the testimony of the trainer of the Portuguese football team, Fernando Santos, and that of a scout leader in Romania. The day’s work ended with the meeting of language groups, an opportunity for sharing experiences and seeking together new paths to tackle accompaniment. Wednesday will end with a Prayer Vigil in the parish of Santa Ana, scheduled to begin at 7.45 p.m. For this we will be joined by young people from Barcelona, who are the organisers of this celebration. Media Office: is located in the Pere Tarres room in the Seminary. Briefing: Thursday 30 March with representatives of ecclesial movements as Communion and Liberation, Focolare Movement, Salesians of Saint Bosco and Emmanuel. From this afternoon Barcelona has become the centre of the Symposium organised by the Council of European Episcopal Conferences (CCEE), by the Spanish Bishops’ Conference (CEE), and by the Archdiocese of Barcelona, to reflect on, discuss and examine in depth the theme of accompanying young people. 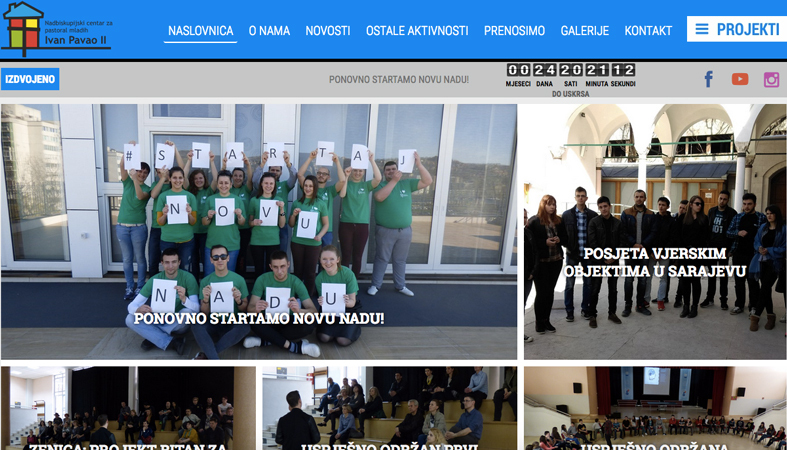 The meeting, which will last unitl Friday 31 March, brings together 275 experts in the pastoral care of young people, schools and universities, and vocational and catechetical work, from the Bishops’ Conferences of Europe. They are accompanied by 32 bishops, four of whom are Cardinals. “He walked by their side (Luke 24:15). Accompanying young people to respond freely to Christ’s call” is the overall theme of the Symposium. It will be devloped through three areas of work: the person being accompanied (examined on Tuesday), accompaniment and the one who accompanies (which will be the focus of work on Wednesday). Thursday will see an exchange of experiences of good practice in the area of accompaniment and a visit to the “Sagrada Familia”. 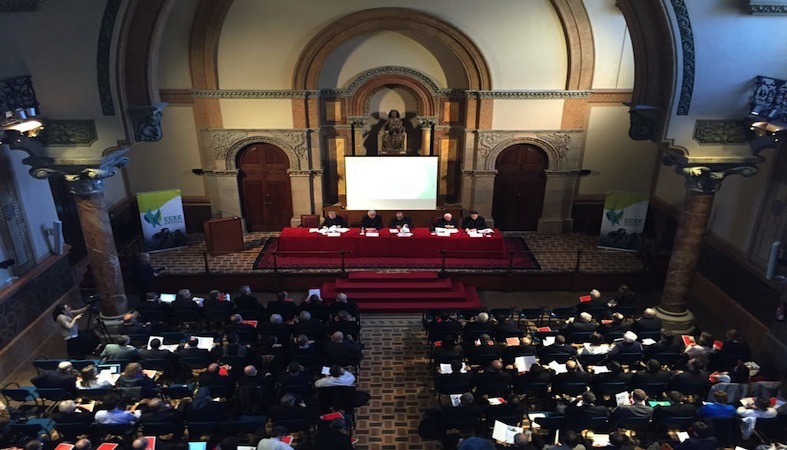 The opening session was held in the Aula Magna of Barcelona’s seminary, with interventions from Cardinals Nichols, Archbishop of Westminster and Vice-president of CCEE; from Cardinal Cañizares, Archbishop of Valencia and Vice-president of CEEE; and from the Archbishop of Barcelona, ​​Mgr Omella. Mgr Omella welcomed all the participants to Barcelona, “this open and cosmopolitan city”, for a meeting which proposes the idea of accompanying: “It is a real challenge. To accompany means, in a certain sense, being ‘educators’ in the most profound sense of the word educere: to be capable of helping those whom we accompany to get the best out of themselves”. Immediately afterwards a message from the CCEE President, Cardinal Bagnasco, was read. He shared with participants some reflections which Pope Francis gave in his audience with Heads of State last week: “Walking together is possible and better. It is also essential in an ever more globalised world where to divide us means losing the way. … This is true for all the components of the continent and of the European Union, naturally beginning with the young people who are the future of life”. Pope Francis sent a greeting addressed to the Archbishop of Barcelona, Msgr. Ornella, in which he encourages participants “to lead a reflection on the challenges of evangelization and on the accompaniment of young people so that, through dialogue and encounter, and how living members of the family of Christ, young people are convinced bearers of the joy of the Gospel in all areas”. Cardinal Nichols said primarily that Europe is not just the European Union. The CCEE includes all countries of the continent and it is worth to remember, perhaps especially to the majority of young Europeans, that the experience of living in Europe is not easy, it’s not comfortable, it is not stable for those who come to Europe from the East. For his part, Cardinal Cañizares highlighted how in the Church “we are driven to accompany young people to the encounter with Christ who is walking with them even if they do not know it or do not perceive it, and shares their journey”. At the same time, he said that “young people have, at heart, a great ideal, an irrespressible longing: that life may be something great and good, which does not delude”. After the opening session, we listened to the first intervention, entrusted to Mgr Jedraszewski, Archbishop of Krakow, and President of CCEE’s Catechesis, School and University Commission, with a presentation entitled: Jesus on the way to Emmaus – accompaniment in Europe today. Immediately afterwards, a group of young people from the Archdiocese of Barcelona gave a multimedia presentation on the challenges, problems, hopes and joys of young people today in Europe. The day ended with the celebration of Mass and Vespers presided over by Cardinal Vincent Nichols, Archbishop of Westminster. New location. From Wednesday, the Media Office will be located in the “Pere Tarres” room in the Seminary (the room adjacent to the one used today). A meeting is scheduled for 1300 between journalists and Raquel Pérez, responsible for the organisation of the event on behalf of the Spanish Bishops’ Conferences and director of the Conference’s Secretariat for Universities. Dr Pérez will also be present at the briefing. While in Barcelona feverish preparations are under way for the European Symposium on the accompaniment of young people, in the last few months, the over 250 participants have been working on the big event scheduled for the end of this month (March 28 through 31) by means of an educational aid in twelve points. Some of its topics: 1) Jesus and the accompaniment; 2) Christian enthusiasm and the will of God; 3) Difference and relationship; 4) Identity and life; 5) Community and family; 6) Family and Church; 7) Hope and fullness of life; 8) Joy and life; 9) Young people and their vocabularies; 10) Accompanying and Holy Spirit; 11) Examination of conscience and testimony; 12) Evangelization and Christ. The document is the result of extensive consultation. In September 2015, a committee made up of representatives of five pastoral areas (catechesis, school, university, youth, and vocations) met in Malta and drew up a document which was then discussed during the first half of 2016 in separate meetings with the national delegates of the five areas. As many as possible of their comments were then integrated in the final document, drawn up in Madrid by another small committee representing the five pastoral areas. Please find the aid on the Symposium website (symposium2017.ccee.eu). In the evening of Wednesday, March 29, at 7.45 pm at the Church of St. Anne (Plazoleta de Santa Ana, 29 – 08002 Barcelona), the young people of the diocesan youth ministry service will animate a prayer vigil. 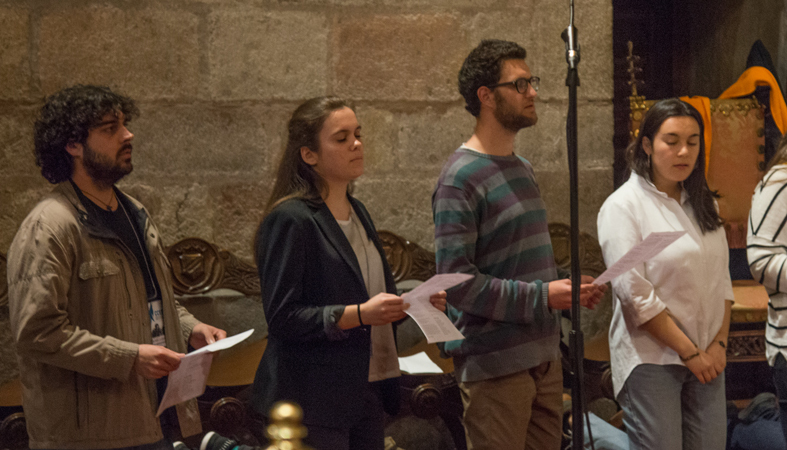 This vigil was conceived as an evening of prayer for the youth of Europe, with some testimonies interspersed with moments of worship and singing. At the end, the young animators from Barcelona will meet with participants in a moment of conviviality. During the Symposium, a number of speakers will take turns to share with the participants their reflections around the theme of the meeting. The speakers, all of them top level, will represent bodies of the Vatican, bodies of CCEE, or bodies of the Catholic Bishops’ Conferences in charge of the youth ministry. Of course, even young people themselves will give their contribution. Please find the speakers’ list on the Symposium website. A Press Conference to introduce the event will take place on March 24th at 11:30 am at the Seminario Conciliar (Carrer de la Diputació, 231 – 08007 Barcelona). Our speakers: H. Ex. Msgr. Juan José Omella Omella, Archbishop of Barcelona; Msgr. Gil Tamayo, Secretary General of the Spanish Catholic Bishops’ Conference; and Fr. Michel Remery, Deputy Secretary General of the CCEE and organizer of the Symposium. 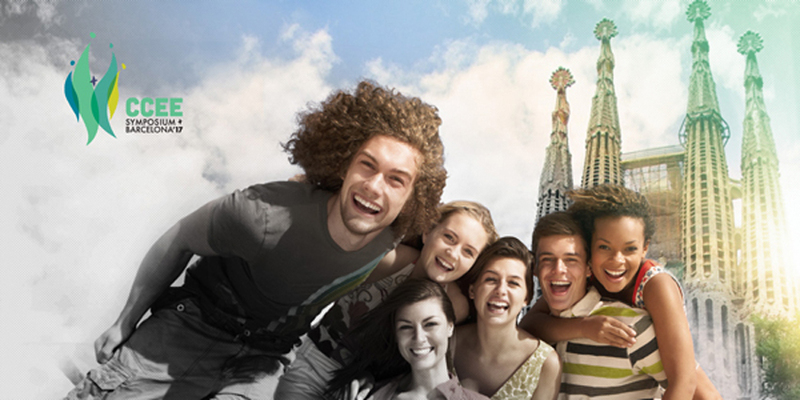 After registrations to the European Symposium on the accompaniment of young people, to be held in Barcelona from the 28th to the 31st of March, have been closed, the Council of European Catholic Bishops’ Conferences (CCEE) – the European bishops’ body that is organizing the meeting in collaboration with the Spanish Catholic Bishops’ Conference and the Archdiocese of Barcelona – launches the Fair of Best Practices, scheduled for Thursday, March 29. In these days, the CCEE is collecting several initiatives that affect different areas of pastoral care (catechism, vocational follow-up, youth ministry …) and have been well received among young people. Among the many initiatives that participants will be informed about in Barcelona in the context of the Fair of Best Practices, we would like to mention the following ones. “Valerie und der Priester” (Valerie and the priest), the activity followed monthly on Facebook by more than 1.3 million people about a young German journalist who has been accompanying and observing the life of a young priest for one year. From Malta, “Prayer spaces school,” which helps children and young people to explore the issues of life, spirituality, and faith in a dynamic and interactive context. From France, “L’appel” (The call), that promotes a dialogue with young people on the importance of finding one’s vocation in life, through moments of reflection and discussion addressed to groups of students and young people, animated by adult members of the youth ministry and vocation ministry. (Please find these best practices and many more, along with many other pieces of information, on the website: symposium2017.ccee.eu). About 200 participants, including bishops and persons in charge of the pastoral care for youth, school, university, vocations, and catechesis of the Catholic Bishops’ Conferences in Europe will meet on March, 28-31, 2017, in Barcelona, Spain, to discuss and share on the issue of the accompaniment of young people. The Symposium, entitled He walked by their side (Lk 24:15) – Accompanying young people to freely respond to Christ’s call, is promoted by the Council of European Catholic Bishops’ Conferences (CCEE) in collaboration with the Spanish Catholic Bishops’ Conference and the Archdiocese of Barcelona. The meeting, which will also be attended by representatives of lay associations and ecclesial movements, will be an opportunity to reflect together on the way we can accompany the youth, in their unity as complete persons and in their journey of faith. In addition to the greetings of Cardinal Vincent Nichols, Archbishop of Westminster (Vice-President of CCEE), and Msgr. Juan José Omella Omella, Archbishop of Barcelona, ​​as well as the contributions of Cardinal Angelo Bagnasco, Archbishop of Genoa (President of CCEE), and Msgr. Marek Jedraszewski, Archbishop of Krakow, President of the CCEE Commission for Catechesis, School, and University, the participants will have the opportunity to listen to the reflections and testimonies of several national directors and young people. In Barcelona, ​​the work will include a path in three stages that, starting with young people, will continue with a reflection on the challenges of accompaniment in the light of the current European socio-cultural context, and will conclude on the figure of those who accompany young people, their education, their needs… These three stages will be later explored through a sharing of “best practices” among the participants and a presentation-visit to the Basilica of the Sagrada Familia, as an example of the proclamation of the Gospel and a way of accompanying people through art and architecture. The Symposium will also include several moments of prayer and the daily celebration of the Eucharist. The main objective of the Meeting is to recognize the crucial role of accompanying young people and propose a reflection to the European Church. The CCEE will make national delegates from various specialized pastoral areas of the entire European continent (catechesis, school, university, and vocations) work together on a single subject: the accompaniment of young people to respond freely to Christ’s call by taking as an example the pattern of “He walked by their side” (Lk 24:15) proposed by Jesus in the episode of his encounter with the disciples on the road to Emmaus (Lk 24:13-35). After the preparatory document “Young People, Faith, and Vocation Discernment” and while waiting for the distribution of the questionnaire of the Synod of Bishops (Holy See) addressed to young people from all around the world, this European Symposium is a significant step in the journey that will lead the Church to celebrate in October 2018 a Synod on the theme of youth and vocations. The outcome of Barcelona will be taken directly to the Synod and will serve as a basis for reflection in the next Plenary Assembly of the CCEE (Minsk, September 28 – October 1, 2017) that will be focused on the issue of young people. 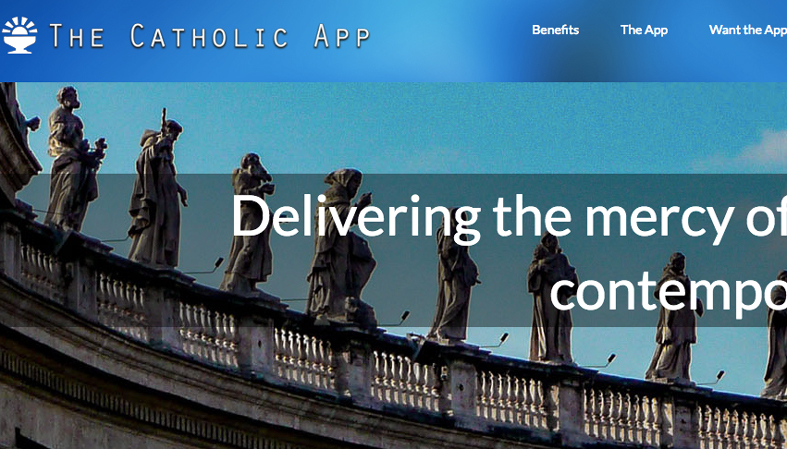 In fact, the CCEE wants to offer to the Synod Fathers its own specific contribution. Precisely in view of the Synod of 2018, during the Meeting, Cardinal Lorenzo Baldisseri, Secretary General of the Synod of Bishops, will animate a moment of sharing with the pastoral agents. Based on the results of these meetings some guidelines for reflection in 12 points were drawn up (please find them in the Symposium website) with the aim of promoting a Pan-European interdisciplinary reflection in preparation for the Symposium. Please find more information (program, guidelines, best practices, etc.) in the website of the Symposium (http://symposium2017.ccee.eu/). The Symposium will take place at the Seminario Conciliar, Carrer de la Diputació, 231 – 08007 Barcelona. The meeting is open to journalists except for the working groups. Caution: only journalists accredited before March 23 (in the case of foreign journalists) or before March 27 (in the case of national and local Spanish journalists) will be given access to the meeting room and the press room, and will take advantage of the various services that will be prepared for them. The press room will be endowed with its own Wi-Fi network available for accredited journalists. Journalists shall pay for their own food and board, as well as for their transportation to and from the venue of the Symposium. 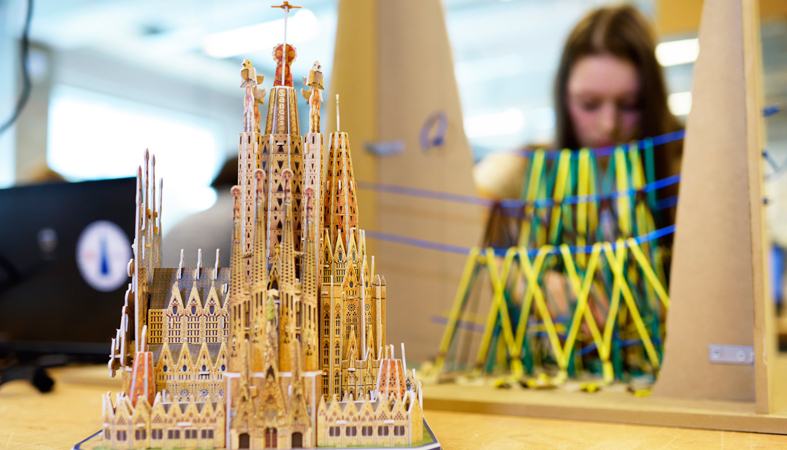 For the visit to the Sagrada Família, you will need an additional accreditation issued by the Basilica of the Sagrada Família. The procedures for accreditation will be provided as soon as possible. The interviews with bishops and cardinals, or to officials of the CCEE, will have to be agreed upon with the Press Office of the Symposium. 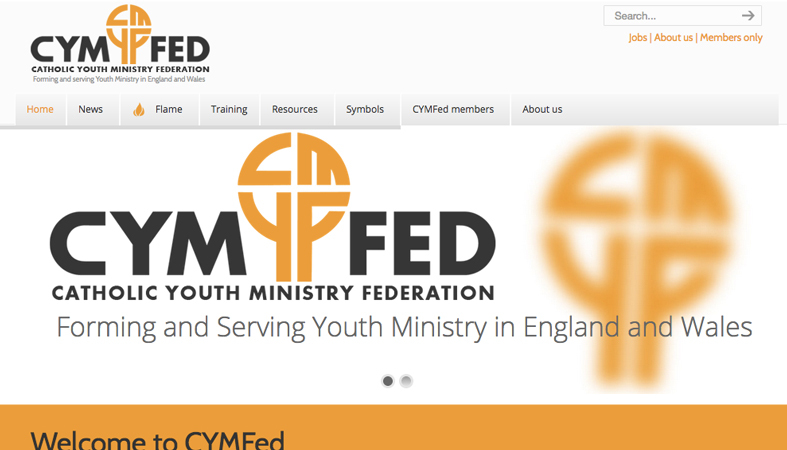 The process which will culminate in the celebration of a Symposium in Barcelona in Spring 2017 on Christian journeying with young people is about to begin with a meeting of national delegates for catechesis, the first of a series of four meetings between now and June which will bring together on separate occasions also national delegates for university pastoral work, for youth work, school work and for vocations. Over the next few months, the different sections of CCEE’s ‘Catechesis, School and University’ Commission, along with the EVS (European Vocations Service) and delegates for youth work will meet separately to draw up the programme for the 2017 Congress in the light of the challenges emerging from their different areas of work. “We want to create bridges between the different areas of pastoral work, which are rightly specialised. As well as the sharing between the different fields, we want to reflect together on the ways to accompany children and today’s young people, in their unity as people, in their faith journey”, said Fr Michel Remery, Deputy General Secretary of CCEE. He went on to say that “the challenge, which already emerged during the Symposium of bishops on ‘Young people and new evangelisation’ which CCEE had organised in 2002, is that of getting national delegates for catechesis, school pastoral work, youth and university pastoral work, and those responsible for vocations, from the whole of the European continent, to work together on one issue: accompanying young people in their response to God’s call”. 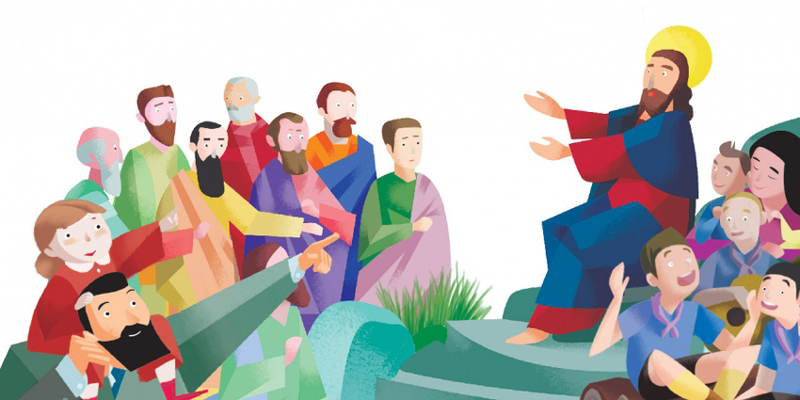 In Malta (1-4 March 2016), the first stage of this process, with national delegates for catechesis as protagonists, there will be an opportunity for listening and examining the situation of catechesis in Europe through the presentation of reports from the Bishops’ Conferences which will touch in particular on the theme of the catechumenate, the Jubilee for Catechists and the Jubilee of Mercy. Subsequently, there will be a reflection on youth pastoral work in the digital and multimedia world from Sr Nathalie Becquart, responsible for the French Bishops’ Conference’s National Service for the evangelisation of young people and for vocations. Finally, the meeting will conclude with various aspects (group work, discussion in plenary sessions, etc.) aimed at preparing for the Symposium in Barcelona. The meeting, which will take place in the Archepiscopal Seminary in Rabat, is being organised in collaboration with the Maltese Bishops’ Conference. A news release will be published at the end of the meeting. Below is some brief information about the Barcelona Symposium. 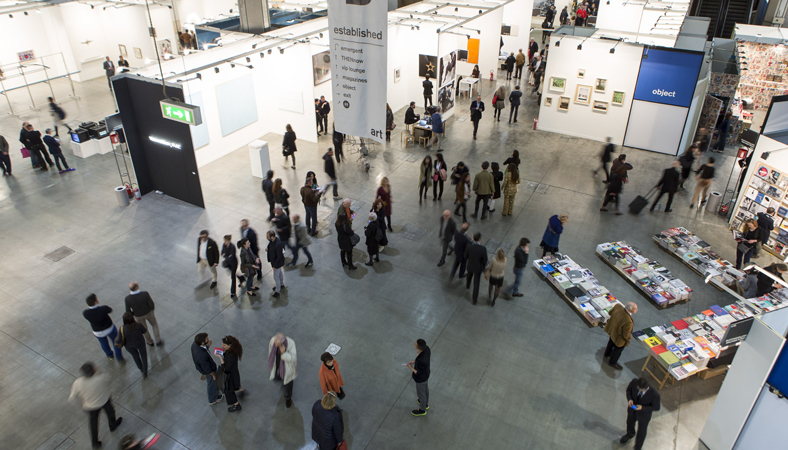 Further information will be sent out to journalists in due course. 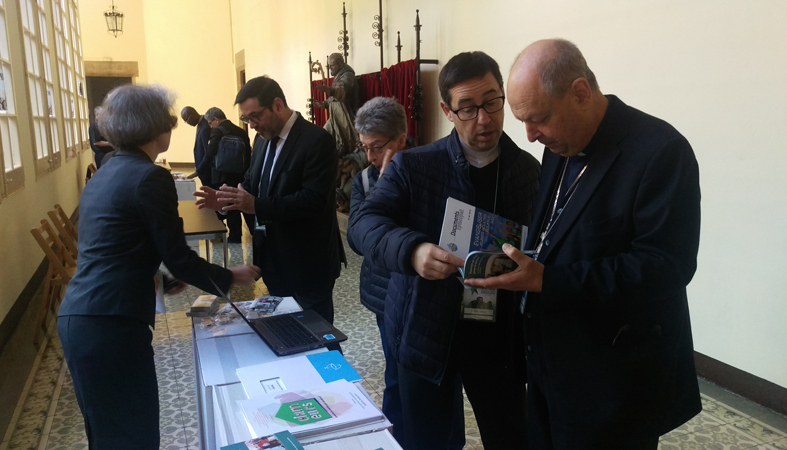 The Symposium envisages the participation of national delegates from the Bishops’ Conferences in Europe for catechesis, schools, universities, youth pastoral work and vocations. Also invited will be representatives from lay groups and church movements, and a large number of young people. Looking towards the Symposium, which falls within the activities CCEE has progressed throughout its history – think, for example, of the IV and X Symposia of Bishops which took place in 1979 and 2002 respectively, of the congresses and annual meetings organised over the years and aimed at bishops and delegates from the various areas outlined above – some guidelines have been prepared which will be discussed and completed in the different stages of the process and which will then constitute the basis of the programme of the Symposium. Meeting of a working group for school pastoral work – Paris, France, 16 May 2016.